For the Verizon customer still undecided which smartphone to spend a current upgrade on, the carrier has just turned on the sign-up page for the Samsung GALAXY Nexus. 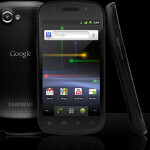 The first Android model to have the Ice Cream Sandwich build of the OS installed, the GALAXY Nexus will cost you $299.99 with a signed 2-year contract. Although a launch date has not been made official, the carrier's Minimum Advertised Price list suggests that we will see the phone released on November 10th. According to the web site, those who register their email address with Verizon will not only get information about the phone as it is released, but will also get a chance to be among the first to purchase the model. Just in case you have let these hot specs slip your mind, the Samsung GALAXY Nexus has a 4.65 curved Super AMOLED (and PenTile) display with 720p resolution. A dual-core 1.2GHz processor powers the action with 1GB of RAM aboard. The controversial 5MP camera on back captures video at 1080p while a 1.3MP camera allows you to take self-portraits and engage in video chat. Did we mention that Android 4.0.1 is installed? If you're on Verizon, there is no SGSII though. I'll sign up for the info, but I'm back to see-sawing between this and the Razr again. Gorilla glass means crap. It's just a marketing brand name. There are many other ways to protect glass without using Gorilla glass that are equally effective or even better. IMO Nexus >> Razr, for many reasons but the main one being the locked bootloader. Nice reason, but the Nexus on Verizon will have a locked bootloader unless you think Verizon will let you have a phone on their network that can freely use tethering and hotspot. So far both of these phones are pretty close to being identical spec wise, one just sports a slightly larger screen, the other has a higher rear camera mega pixel count. One happens to come with ICS out of the box, but the other will gain in in a few months. So far only thing that really separates the two are the OS's that come installed, everything else is refutable. Lets see your man reasons that Nexus is greater than the Razr, shall we? It won't be locked. Samsung and HTC phones are not locked on Verizon and these phones won't be any different either. Since my phone (OG Droid), Motorola has been implementing locked bootloaders in conjunction with Verizon. Also, the MP count is irrelevant marketing garbage. Motorola still hasn't managed to improve their camera module to the same standards as Samsung. Gorilla Glass is just another name for fortified glass. Guess what the Nexus has? Fortified glass. You are right,I looked it up and read the value of fortified wine glasses. I want the glasses too !!! @@@@@@@@@ Fortified wine glasses- see their descripition.. glasses are made of titanium crystal which is practically indestructible, withstanding dings that might come their way. Fortified wine glasses- see their descripition.. glasses are made of titanium crystal which is practically indestructible, withstanding dings that might come their way.